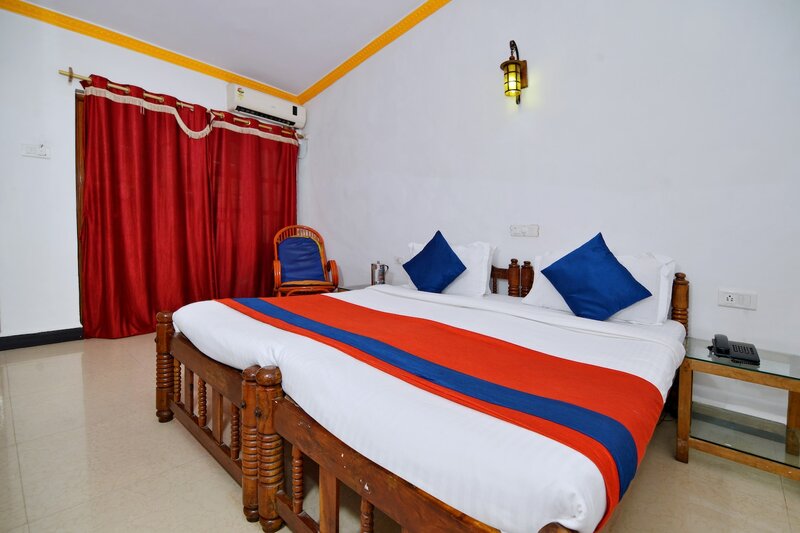 Travellers Guest House is a well furnished and beautiful hotel located in Baga, Goa. The rooms of the hotel are very spacious and are tastefully decorated with light subtle colors that adds an element of calmness to the rooms. The hotel is equipped with amenities like free Wi-Fi, CCTV cameras, air conditioning, TV, dining area, etc. among many others. The hotel is located near to many famous food outlets of Goa such as Lucky Star Beach Shack, Mambos, etc.